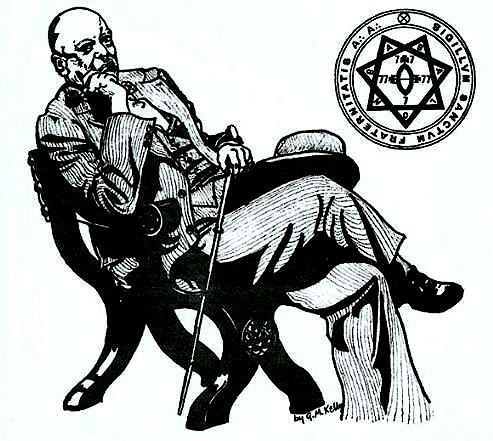 The drawing of Aleister Crowley above originally appeared in the July 23, 1980 E.V. issue of The Newaeon Newsletter, Volume III, Number 3, and it was printed on goldenrod paper. 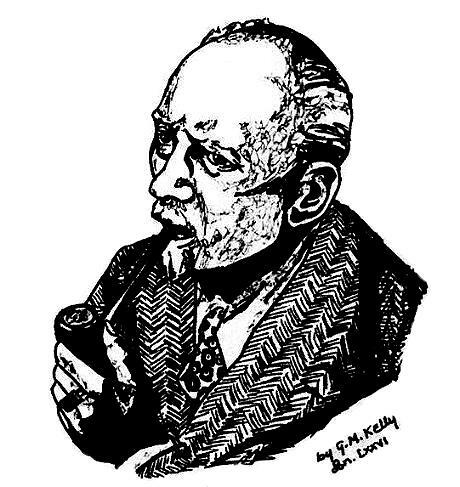 This second sketch of the Master Therion was published in the September 23, 1980 E.V. issue of The Newaeon Newsletter, Volume III, Number 4, and that newsletter was also published on goldenrod paper.